Reading “On Elizabeth Bishop,” the latest installment in Princeton’s Writers on Writers series, it is possible to forget that the author looking at Bishop’s work and world is neither poet nor her contemporary, but a prominent expatriated Irish novelist — until the narrator switches gears: “I come from a house where Time’s hand had also reached in.” In this way, Tóibín begins the memoir that parallels Bishop’s story, with personal connection established as a way to introduce and elaborate upon her emotional landscape. 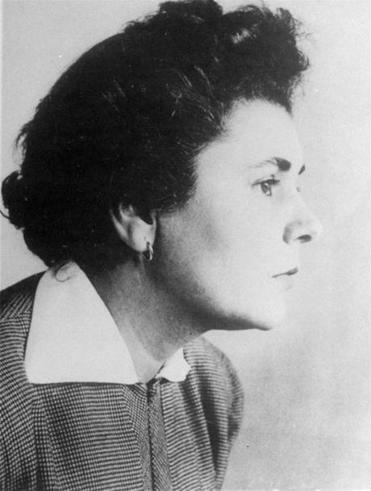 Until very recently, Elizabeth Bishop’s private world was opaque, the poems yielding little or no subtext. But Tóibín assembles her story from extensive correspondence and poems, and fuses it into a narrative that draws original, unexpected comparisons between Bishop and writers like James Joyce, includes an extended likening of her poetics to English poet Thom Gunn’s, and mirrors Bishop’s life against his own. Valerie Duff is poetry editor at Salamander Magazine and the author of “To the New World.” She is the 2015 Poetry Fellow at The Writers’ Room of Boston. She can be reached at valeriesduff@gmail.com.